Rather than tell you how to get your junk drawer organized, this post is about getting rid of your junk drawer completely in less than 10 minutes! We all have that dreaded drawer in our house. You know which one we’re referring to; your junk drawer. 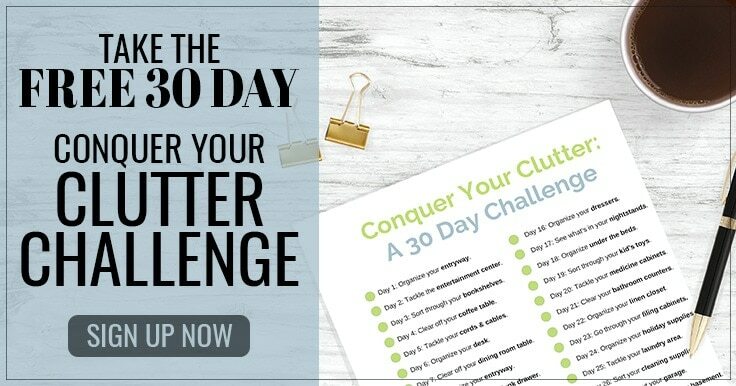 Rather than tell you how to organize your junk drawer, today is all about completely getting rid of your junk drawer once and for all! The junk drawer serves little to no purpose and becomes a dumping ground for our things. For this very reason, this is the last place people choose to organize. If you don’t have a drawer, your junk drawer might be a shelf or even a box where all your leftover stuff just piles up. In less than 10 minutes, we are going to be rid of the junk drawer concept once and for all, by replacing it with something more functional instead. 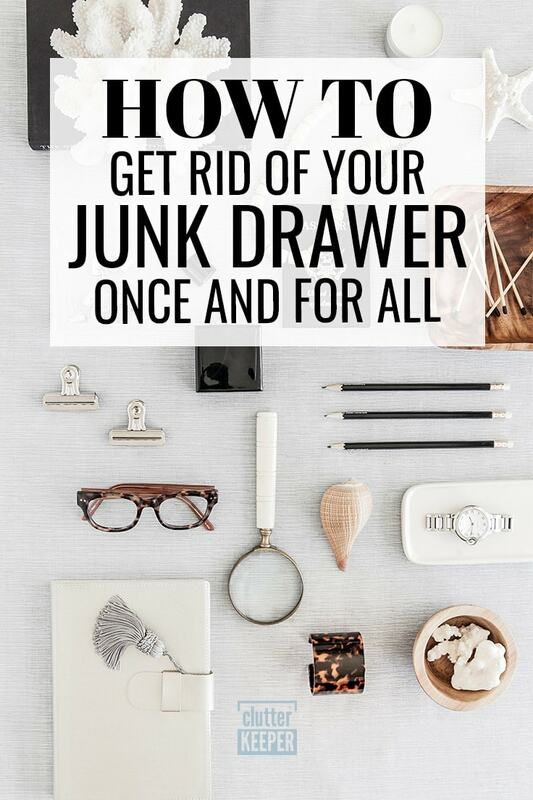 Let’s go through, step-by-step, how to finally be free of your junk drawer. The goal of having an organized home is to be able to find everything you need, without having to sort through chaotic piles. Getting rid of it will keep everything you need easy to find. Remind yourself, not having a junk drawer is good for you and for your home. It will save you a ton of time. This process is worth it. Yes, it might be quicker in the moment to throw things in there, shut it, and forget about it. But when it comes time to find that paperclip or battery, you’ll wish you had invested more time into organizing them. What is in your junk drawer? First, let’s figure out what exactly you are keeping in your junk drawer. While it may be tricky to do, it’s time to pull out all of the contents of it. The items within your junk drawer have probably gotten a little used to their home, and it will be hard to actually be rid of the junk drawer if you can’t see all of its contents. Start by asking yourself what exactly is in there? The honest answer is probably bits and pieces of items that belong elsewhere. Dump everything out on the floor or table, and then wipe out the drawer. You want to have a clean place to put everything back when you’re finished. Are there categories within your junk drawer? Next, it is time to sort everything. You may have even more categories than this, but a typical junk drawer will at least have these things. Categorize the items in your junk drawer and separate them into piles based on related items. This is the time where you throw away as much as you can. It will be so much easier to organize everything when you throw away things you don’t use, won’t use, or don’t know why you have it. Now that you have moved all of the items within your junk drawer into piles of like items, you may be starting to notice that you have different piles of a bunch of little items. Ask yourself where you use these items, and if you already have a place to keep these items. If you have all of your office supplies in your office space, keep the rest of the junk drawer office supplies there. Begin moving the items that already have a home to their new home. Pick up every pile and put them away. Keep the rest of the stuff in piles for the next step. For the items that don’t currently have a place to be stored, it’s time to make them a home! First, think about how you use these remaining items. When it comes to first aid supplies, is there a better way to store them than cramming them into a drawer? Could birthday candles and supplies go with your party supplies? Begin to work through the hurdles of the items you have left to find the best storage option for these items. This might mean getting creative and inventing a new storage place for these items. In fact, the blog Two Twenty One has a fantastic before and after and the only thing she used was a bamboo flatware organizer. You really can repurpose and hack anything to store your small items. Finally, create a system for keeping this drawer organized in the future. 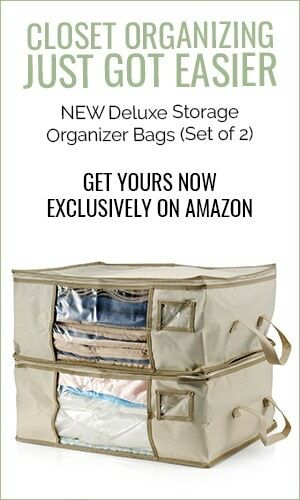 Invest in a junk drawer organizer that will separate your drawer into compartments. If you leave it as an open drawer (or basket), it will be an open invitation to mess up again in the future. So keep it organized by establishing areas for specific items. What does your junk drawer say about you? As you go through and get rid of your junk drawer, you might find some forgotten mementos or even a few tools you didn’t know you have. NPR reported on the tie between junk drawers and personal stories. The really fascinating thing about junk drawers is how revealing they are. In fact, just browsing the #JunkDrawer tag on Instagram shows just how much we all have in common. Lots of people keep pens and office supplies in their junk drawers. Of course, after you eliminate your junk drawer and make it super functional, it will be ready for you to brag about on Instagram! Then, your junk drawer will say you are an organized person that rocks at adulting! It might seem like a strange concept, but the truth is that we don’t need a junk drawer in order to have an organized home. Feel free to repeat these steps for every single disorganized place in your home. If you follow these tips, you’ll get rid of your junk drawer for good! Now that you eliminated your junk drawer, conquer these other commonly disorganized spaces in your home. Kitchen Pantry – In just 6 steps, you’ll have a supremely organized pantry. 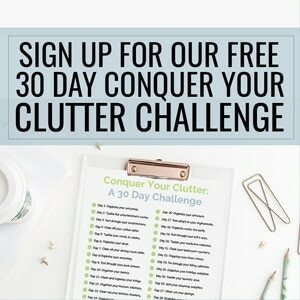 Top 10 Places You’ll Find Clutter in Your Home – You already found one of them, the junk drawer. Now see where the rest of the clutter is hiding. Family Command Center Ideas – Here are 13 ideas for helping your family stay organized.